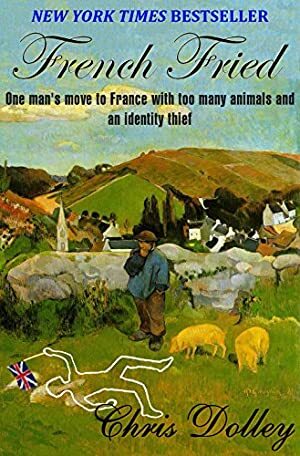 Just when Chris and Shelagh think nothing more could possibly go wrong, they discover that Chris's identity has been stolen and their life savings - all the money from their house sale in England that was going to finance their new life in France - had disappeared. A bank account had been opened in Chris's name in Spain to take the proceeds. Then they're abandoned by the police forces of four countries who all insist the crime belongs in someone else's jurisdiction. The French say it's an Irish crime as that's where the money was held. The Irish say it's French as that's where all the correspondence came from. The British say it's nothing to do with them even though forged British passports were used to open the bank account in Spain. And the Spanish are on holiday - and can't even think about investigating any bank account for at least four weeks. We started tracking this book on April 1, 2011. The price of this book has changed 39 times in the past 2,946 days. The current price of this book is $3.82 last checked one day ago. The highest price to date was $3.99 last reached on July 21, 2018. We last verified the price of this book about one day ago. At that time, the price was $3.82. This price is subject to change. The price displayed on the Amazon.com website at the time of purchase is the price you will pay for this book. Please confirm the price before making any purchases.